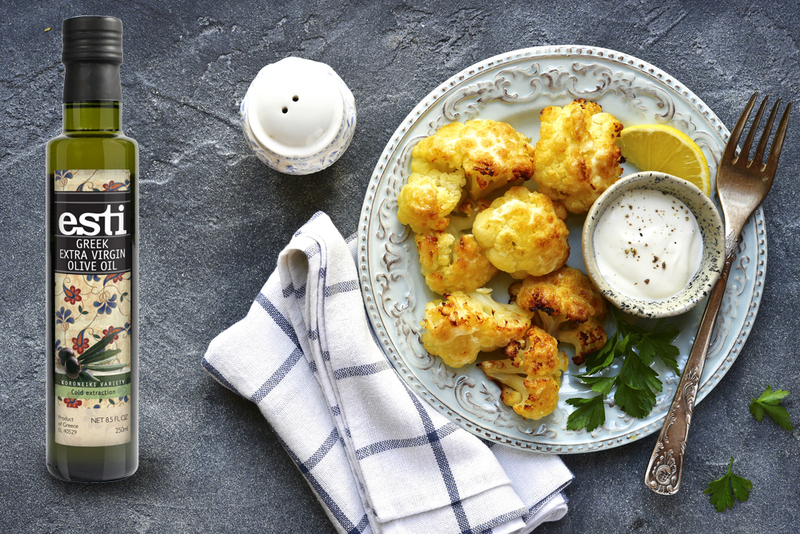 Cauliflower is a vegetable very common in Greek cuisine. Basically, we enjoy it cooked and served as a simple salad, but we like it fried as well. Cut into small florets and deep fried in olive oil it is a wonderful appetizer that everyone enjoys. This entry was posted in Around the Greek table, THE ART OF LIVING WELL / and tagged Greek yoghurt, starters, vegetarian on 26 March, 2018 by George Papageorgiou. Beetroot salads are one of the finest salads, naturally thanks to the presence of this wonderful- in flavor and in color!- root vegetable. 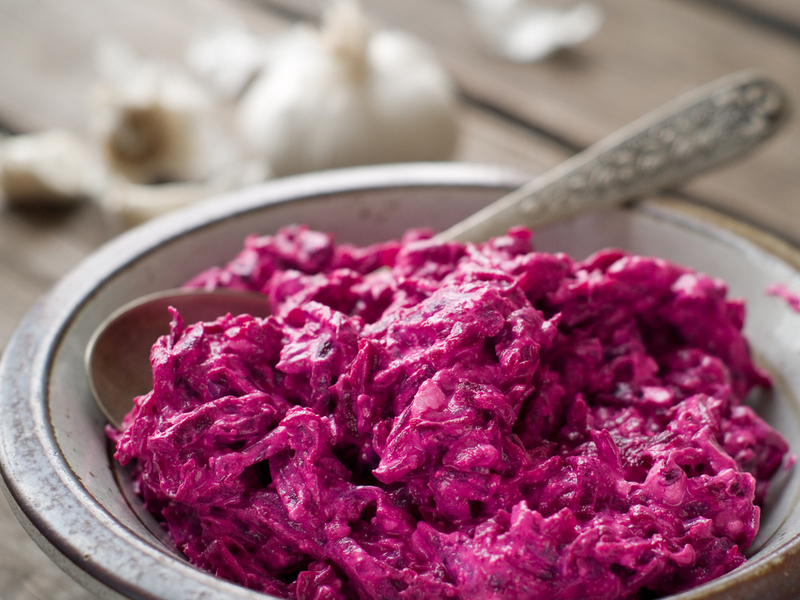 In Greece we make a very special salad with beetroots that’s not exactly like a salad, but mostly it reminds you of a dip! Either way, it is utterly delicious! This entry was posted in Around the Greek table, THE ART OF LIVING WELL / and tagged beetroot, Greek yoghurt, starters, vegetarian on 6 February, 2017 by George Papageorgiou. 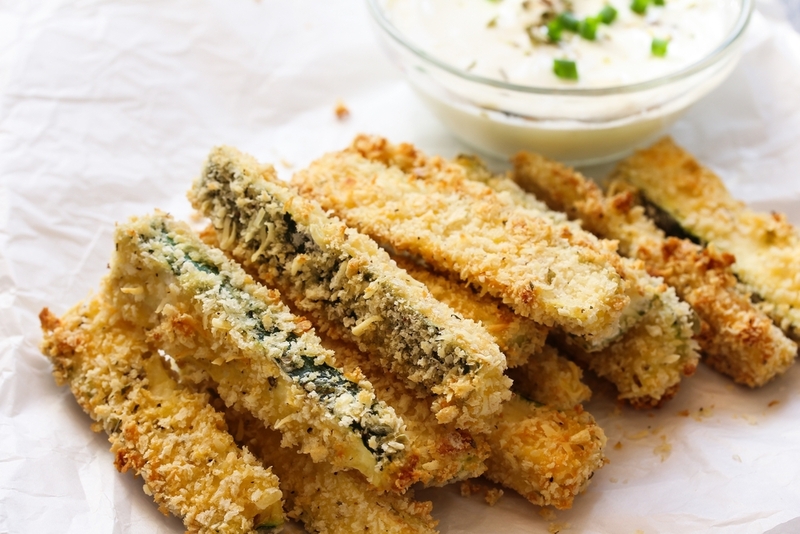 On today’s new blog post we’ve got some lovely zucchini fries. Elegant but still crunchy, these zucchini fries are so delicious in their Greek flavors which are enhanced with a wonderful Greek style yoghurt dip! This entry was posted in Around the Greek table, THE ART OF LIVING WELL / and tagged starters, vegetarian, zucchini on 16 September, 2016 by George Papageorgiou. Our dish today is a very special one! Made usually in summer when peppers are in abundance it can be served as an appetizer and it will thrill everyone! It’s so delicious! This entry was posted in Around the Greek table, THE ART OF LIVING WELL / and tagged feta cheese, starters, Summer, vegetarian on 10 August, 2016 by George Papageorgiou. 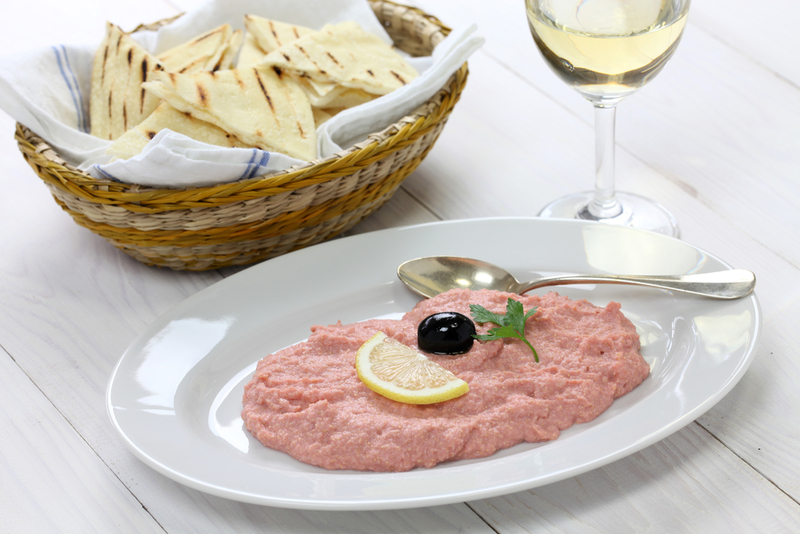 Taramosalata or Greek cod roe dip. Today is a national holiday in Greece. Regarding the Greek Orthodox Church, it is Clean Monday (Kathará Deftéra) a religious feast equivalent to Shrove Monday or Mardi Gras. Actually it is the first day of the pre-Easter lent period that lasts for 40 days. This entry was posted in Around the Greek table, THE ART OF LIVING WELL / and tagged starters, tradition on 14 March, 2016 by George Papageorgiou. There’s no doubt that our favorite summer appetizer is thinly sliced zucchinis fried in olive oil! They’re so scrumptious, so delicious that you’ll find yourself having a hard time trying to stop eating them! 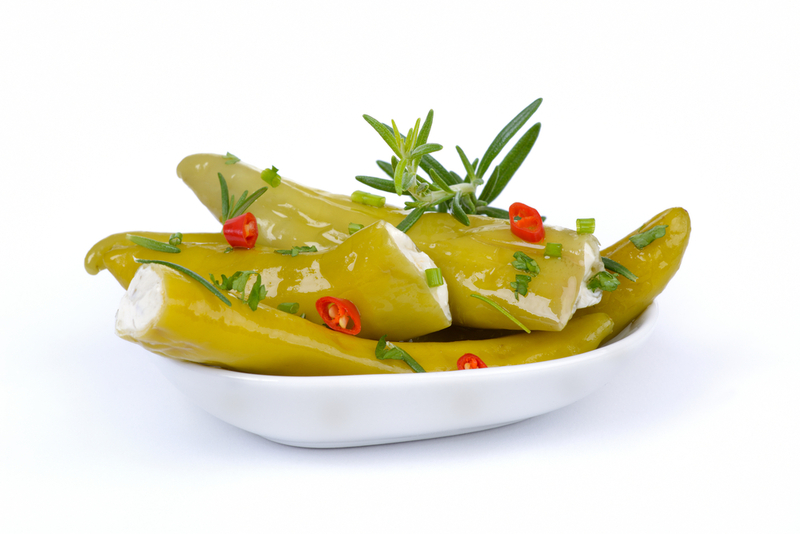 They go very well with a glass of beer, some retsina wine or even better a glass of ouzo on ice! This entry was posted in Around the Greek table, FROM GREEK HOMEMAKERS /, THE ART OF LIVING WELL / and tagged starters, vegetarian, zucchini on 22 June, 2015 by George Papageorgiou. 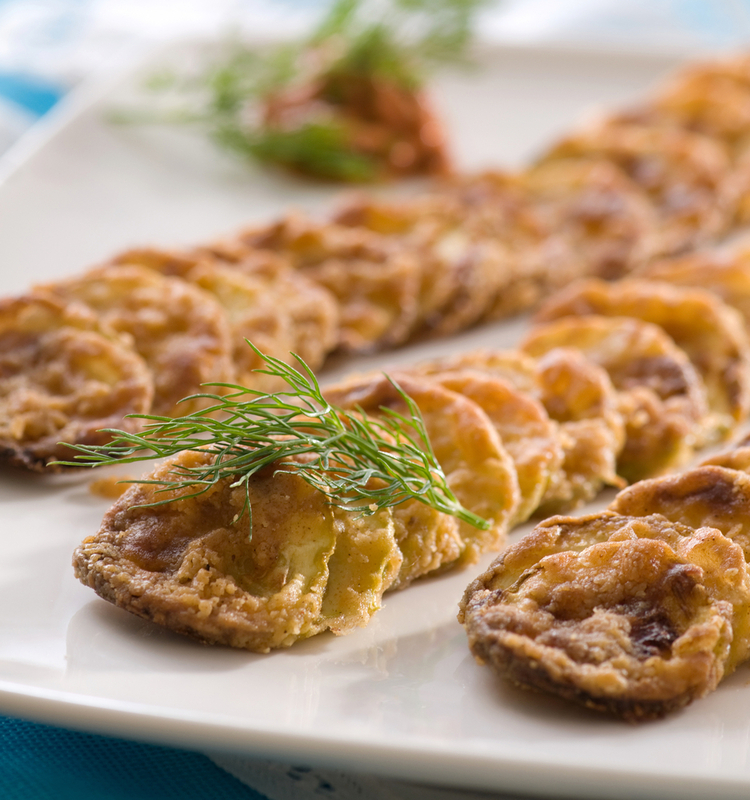 As we have mentioned before in our blog, Greeks adore eating fritters as appetizers. We make them with meat, with vegetables but also with legumes. 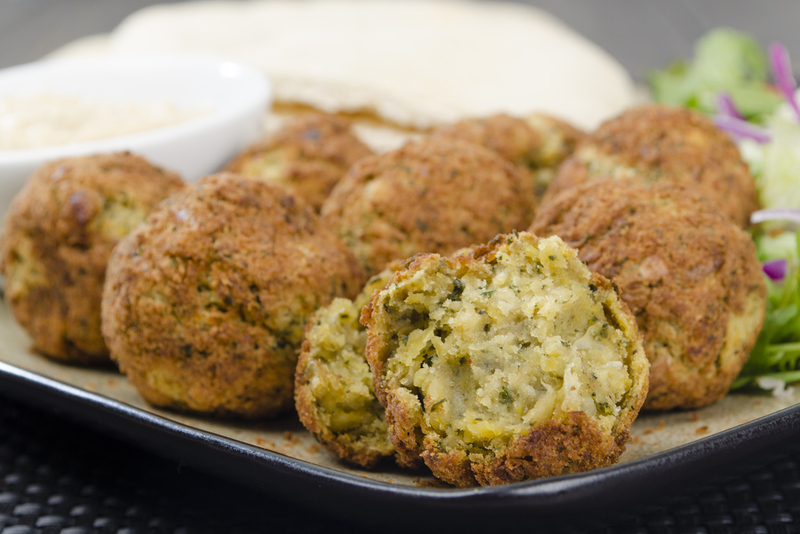 The most popular ones made with legumes are chickpea fritters. Soft in the inside, crunchy on the outside and flavored with different herbs, they are so delicious that you just can’t stop eating them! This entry was posted in Around the Greek table, FROM GREEK HOMEMAKERS / and tagged chickpeas, starters, vegetarian on 14 November, 2014 by George Papageorgiou.